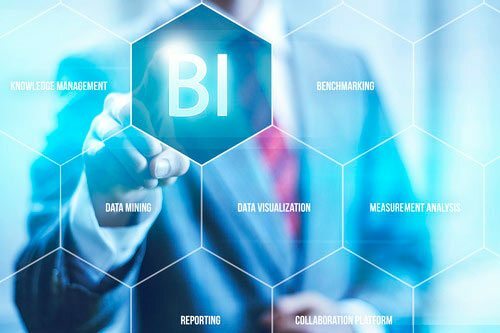 ECI Blog | IT consulting, systems integration, custom applications, Kimball, database design and data conversion, legacy integration, Enterprise Architecture | Estrada Consulting, Inc.
News & Views at Estrada Consulting, Inc. There are two supported implementations for building server-side applications with .NET: .NET Framework and .NET Core. Both share many of the same components and you can share code across the two. However, there are fundamental differences between the two and your choice depends on what you want to accomplish. • You have cross-platform needs. • You are targeting microservices. • You are using Docker containers. • You need high-performance and scalable systems. • You need side-by-side .NET versions per application. • Your app currently uses .NET Framework (recommendation is to extend instead of migrating). • Your app uses third-party .NET libraries or NuGet packages not available for .NET Core. • Your app uses .NET technologies that aren’t available for .NET Core. • Your app uses a platform that doesn’t support .NET Core. If your application needs to run on multiple platforms like Windows, Linux, and macOS, use .NET Core; it supports the previously mentioned operating systems as your development workstation. Visual Studio provides an Integrated Development Environment (IDE) for Windows and macOS. You can also use Visual Studio Code, which runs on macOS, Linux, and Windows. Visual Studio Code supports .NET Core, including IntelliSense and debugging. Most third-party editors, such as Sublime, Emacs, and VI, work with .NET Core. These third-party editors get editor IntelliSense using Omnisharp. You can also avoid any code editor and directly use the .NET Core CLI tools, available for all supported platforms. 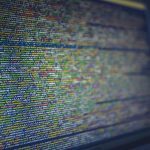 When your system needs the best possible performance and scalability, .NET Core and ASP.NET Core are your best options. High-performance server runtime for Windows Server and Linux makes .NET a top performing web framework on TechEmpower benchmarks.Performance and scalability are especially relevant for microservices architectures, where hundreds of microservices may be running. With ASP.NET Core, systems run with a much lower number of servers/Virtual Machines (VM). The reduced servers/VMs save costs in infrastructure and hosting. Micro services architecture allows a mix of technologies across a service boundary. This technology mix enables a gradual embrace of .NET Core for new microservices that work with other microservices or services. For example, you can mix microservices or services developed with .NET Framework, Java, Ruby, or other monolithic technologies Need for side by side of .NET versions per application level To install applications with dependencies on different versions of .NET, we recommend .NET Core. .NET Core offers side-by-side installation of different versions of the .NET Core runtime on the same machine. This side-by-side installation allows multiple services on the same server, each of them on its own version of .NET Core. It also lowers risks and saves money in application upgrades and IT operations. Some .NET Framework technologies aren’t available in .NET Core. Some of them might be available in later .NET Core releases. Others don’t apply to the new application patterns targeted by .NET Core and may never be available. • ASP.NET Web Forms are only available in the .NET Framework. • ASP.NET Core cannot be used for ASP.NET Web Forms. 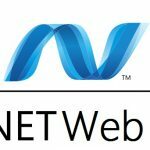 • There are no plans to bring ASP.NET Web Forms to .NET Core. • ASP.NET Web Pages aren’t included in ASP.NET Core. Even when there’s a WCF-Client library to consume WCF services from .NET Core, WCF server implementation is currently only available in the .NET Framework. This scenario is not part of the current plan for .NET Core but it’s being considered for the future. 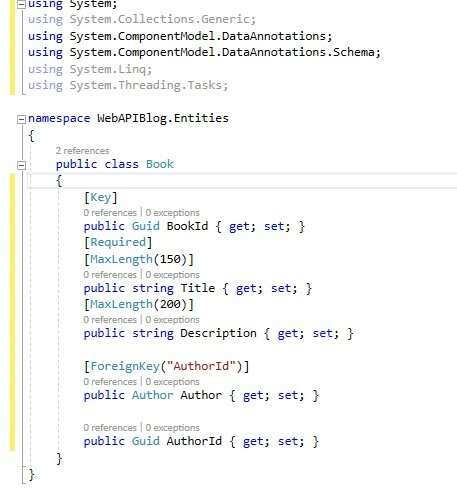 Windows Workflow Foundation (WF), Workflow Services (WCF + WF in a single service) and WCF Data Services (formerly known as “ADO.NET Data Services”) are only available in the .NET Framework. There are no plans to bring WF/WCF+WF/WCF Data Services to .NET Core. Visual Basic and C# are currently supported in .NET Core, but not for all project types. For a list of supported project templates, see Template options for dot net new. In addition to the official roadmap, there are other frameworks to be ported to .NET Core. For a full list, see the CoreFX issues marked as port-to-core. This list doesn’t represent a commitment from Microsoft to bring those components to .NET Core. They’re simply capturing the desire from the community to do so. If you care about any of the components marked as port-to-core, participate in the discussions on GitHub. And if you think something is missing, file a new issue in the CoreFX repository (Some References are taken from MSDN). By clicking on OK, it will create a new ASP.NET Core project with some pre-defined configuration files and controller. The program.cs class which contains the main method with a method called Createwebhostbuilder(), is responsible for running and configuring the application. The host for the application is set up with the startup type as startup class. Configure() – it is used to configure how the ASP.NET Core application will response to an individual HTTP request. 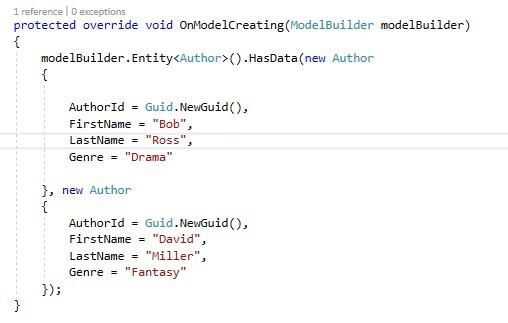 Create a folder called Entities to organize the entity model classes. Let’s create an entity model class. Let’s create a context file, add a new class file, and name it as LibraryContext.cs. Define the database connection in appsettings.json file and let’s register our context in Startup.cs. This will create a class for migration. Run the following command to update the database. This will update the database based on our models. Let’s add some data to the Author table. 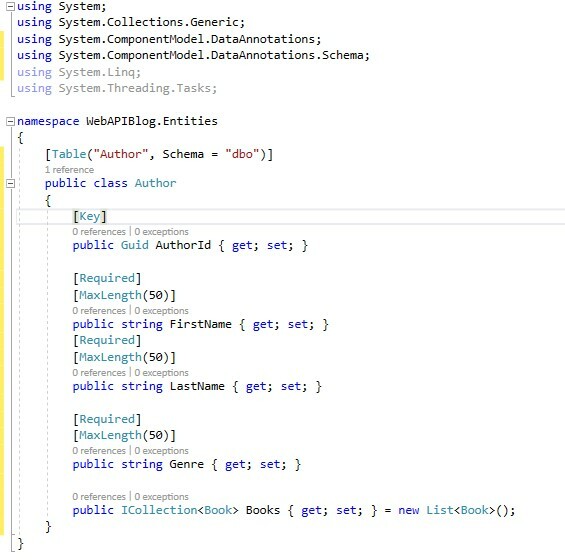 For this, we need to override a method OnModelCreating in the LibraryContext class. Let’s run the migration and update command once again. 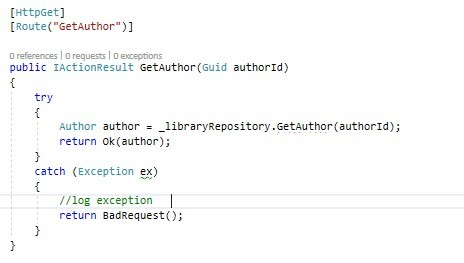 Let’s add a repository folder to implement the repository pattern to access the context method. Create two more folders – Contract and Implementation – under the repository folder. Create an interface ILibraryRepository.cs under Contract folder. Let’s create a class under implementation folder to implement the function. 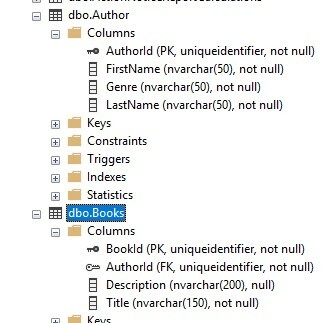 The above method GetAllAuthor() will return the complete list of records from Author table. 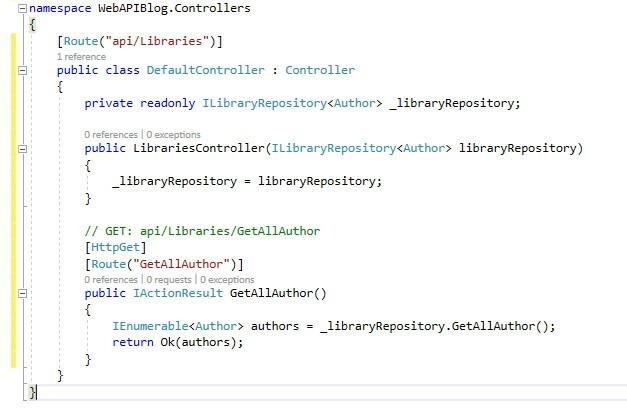 Let’s configure the repository using dependency injection. 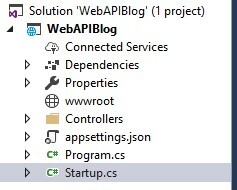 Open Startup.cs file, add the below code in Configuration Services method. Right-click on controller and go to Add->Controller. 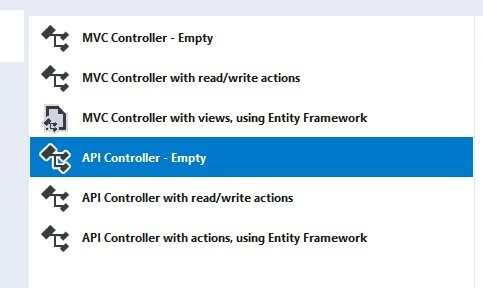 Choose an empty API template and name the controller. I named the controller as LibrariesController. 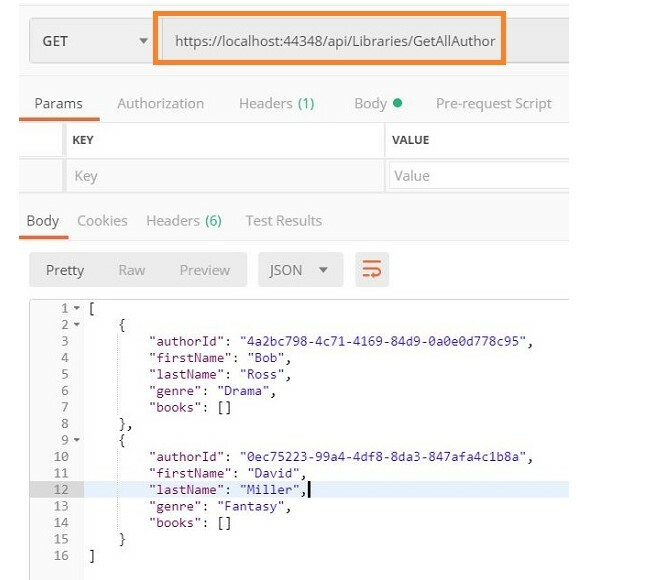 We have created a WEB API with an endpoint api/Libraries/GetAllAuthor to get an author list from the database. 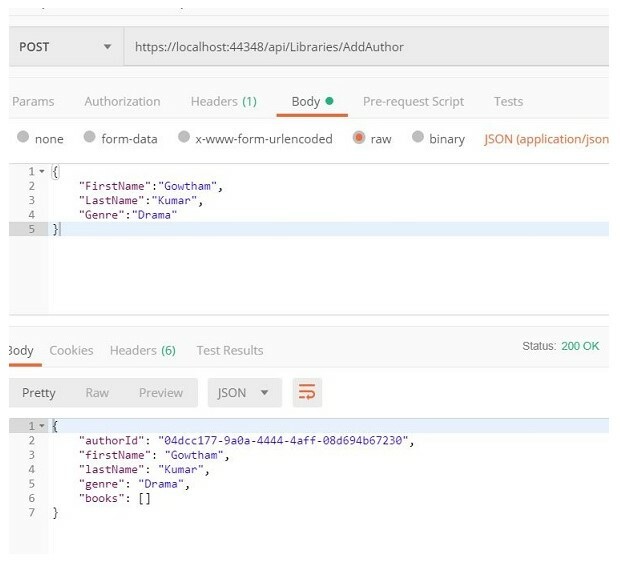 Let’s test the API using Postman tool. We got an author list as a response. Open the LibraryRepository.cs file from the application and write the below code. 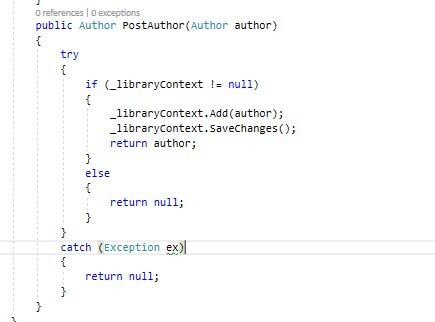 _libraryContext is our database context, the Add method is used to add the records in the entity, and the SaveChanges method is used to save the changes in the database. 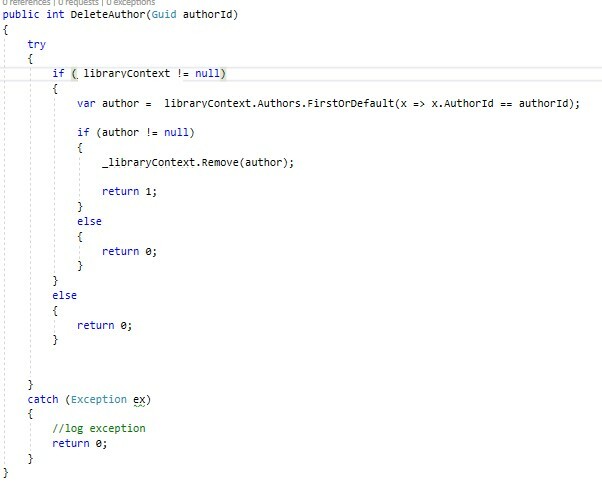 Open LibrariesController.cs file from the application and write this code. The AddAuthor action will fetch the data from the body of request. 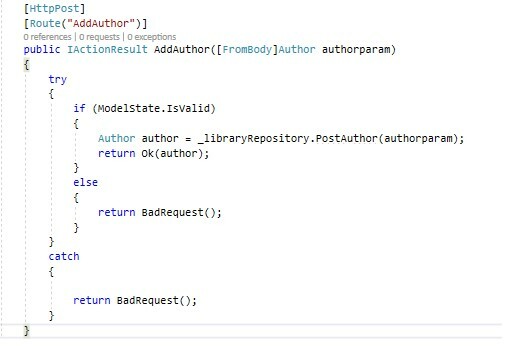 Once the modelstate is validated, the data will be added to the database by calling the PostAuthor method in repository. 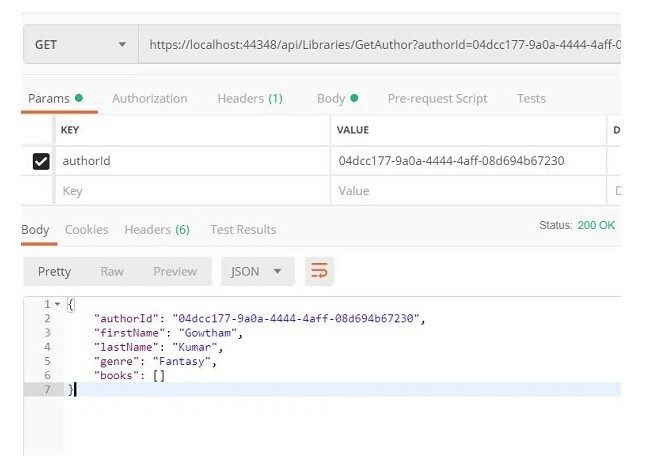 Let’s test the API in POSTMAN. We already discussed about GetAllAuthor() read method in my last article. Now, I’m giving a demo of the method which is used to read the data from the database based on Id. Open the LibraryReporsitory.cs file from the application and write the following code into it. 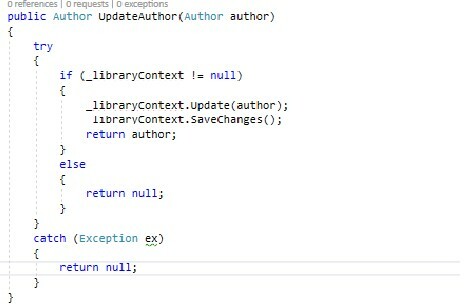 Open the LibrariesController.cs file from the application to add the below code. From the above image, you can notice the author data is returned based on the author id. Open LibraryRepository.cs file and update it with the given code. 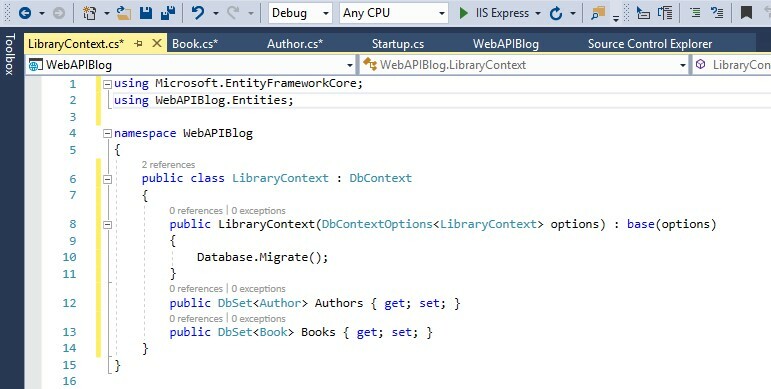 _libraryContext is our database context, the Update method is used to update the records in the entity, and the SaveChanges method is used to save the changes in the database. Open LibrariesController.cs file from the application and write the below code. 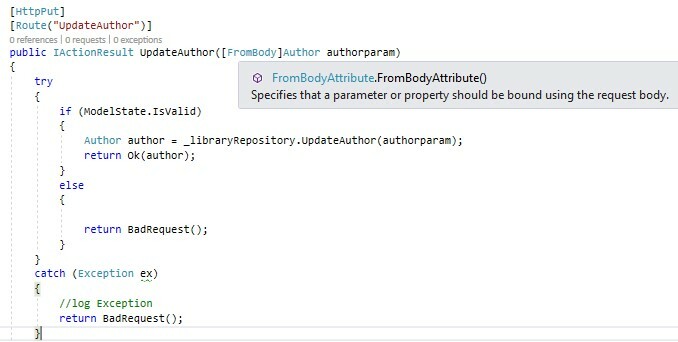 The UpdateAuthor action will fetch the data from the body of request. Once the modelstate is validated, the data will be updated in database by calling the UpdateAuthor method in the repository. From the above image, you can notice that the author data is updated based on the request. Open the LibraryRepository.cs file from the application and add the following code. The Remove method is used to remove the records in the entity, the SaveChanges method is used to save the changes in the database based on update done in data entity. 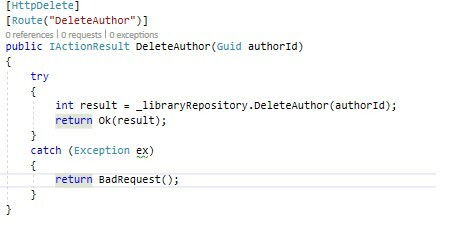 The DeleteAuthor method will delete the record by calling the DeleterAuthor method in the repository based on the author id passed through the request. From the above image, you can notice that we got a response as 1 which means the data is deleted successfully based on the request. 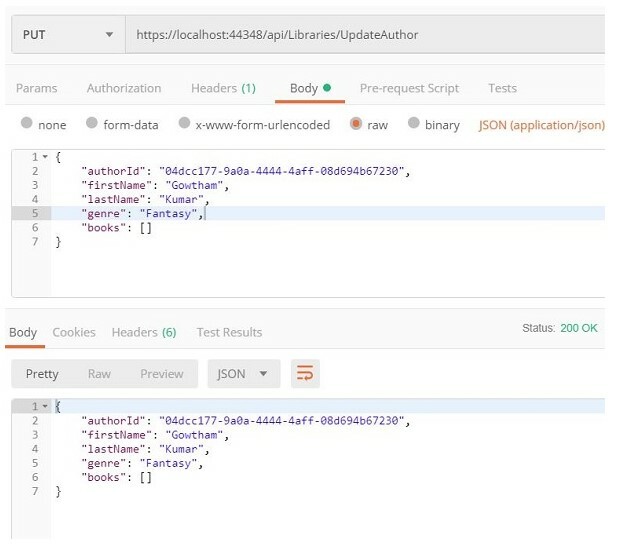 We saw how to create a ASP.NET Core with EF Core and RESTful API . We will see more about ASP.NET Core in future articles. 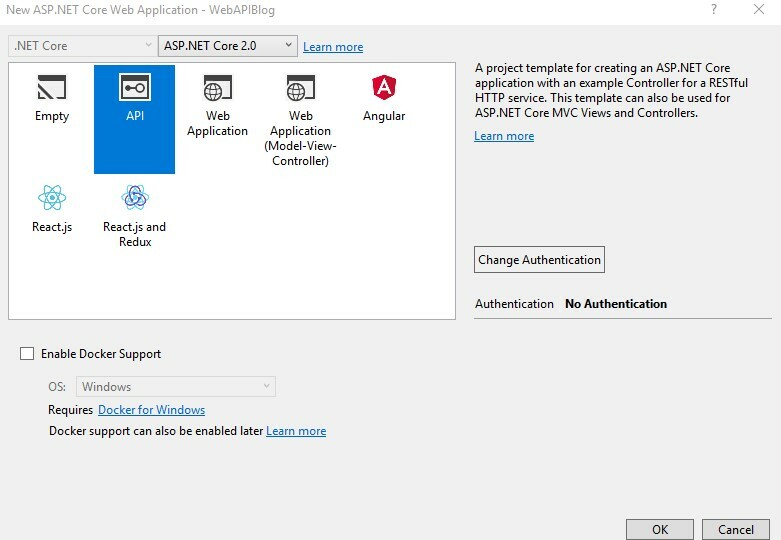 WEB API 2 is a framework for building HTTP services that can be accessed from any client including browsers and mobile devices. It is an ideal platform for building RESTful applications on the .NET Framework. HTTP is not just for serving up web pages. HTTP is also a powerful platform for building APIs that expose services and data. HTTP is simple, flexible, and ubiquitous. 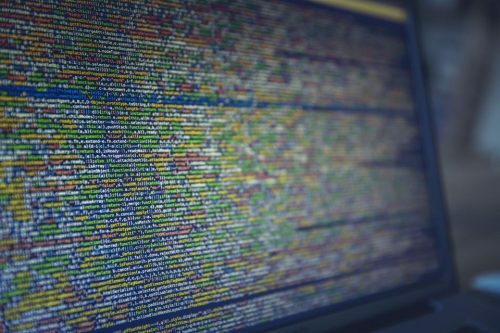 Almost any platform that you can think of has an HTTP library, so HTTP services can reach a broad range of clients, including browsers, mobile devices, and traditional desktop applications. 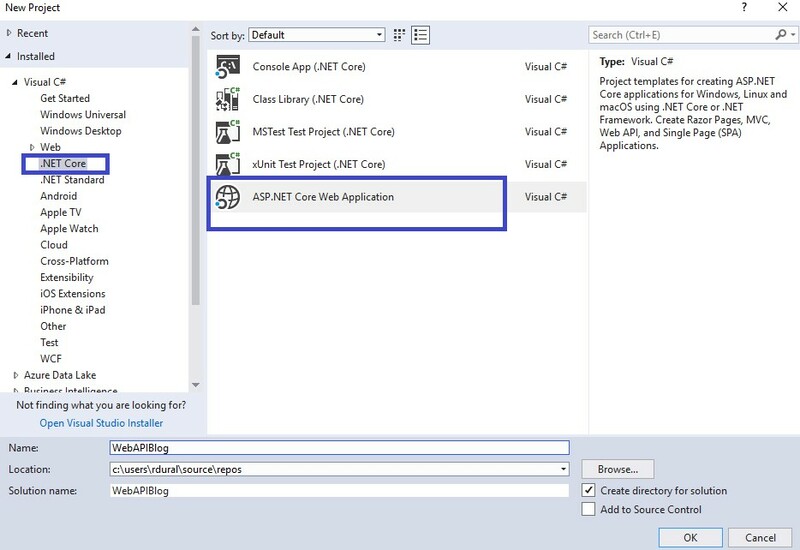 ASP.NET Web API is a framework for building web APIs on top of the .NET Framework. 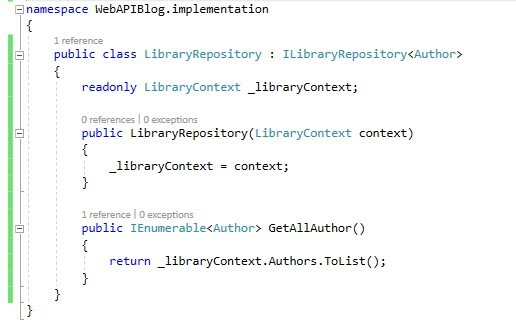 The following are the return types for Web API action methods.